Late last night after a massive 8.0 quake struck the Solomon Islands’ coast another powerful mag 6.5 hit the same area, earlier a mag 6.5 struck off the North Californian coast, it is the 7th major quake in so many days and we could be in for more as a large coronal hole on our Sun is still facing the Earth. 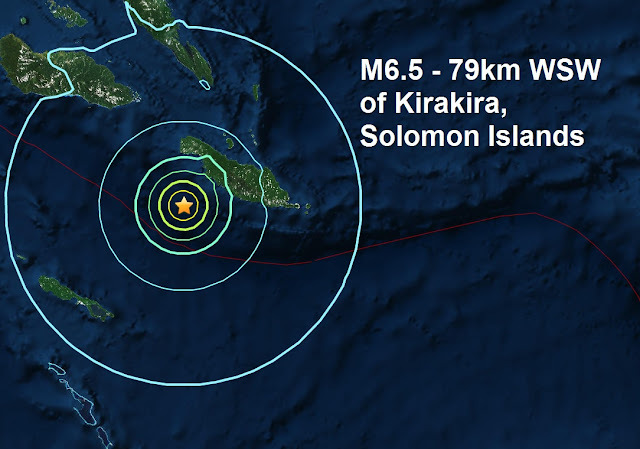 The mag 6.5 was a shallow quake with a green alert for shaking-related fatalities and economic losses. There is a low likelihood of casualties and damage. It is the 7th major quake of December and the 131st of 2016.